Towards the end of the war the "doodlebug" was much feared and did a lot of damage. 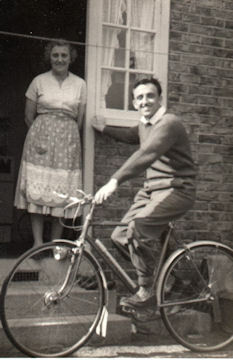 Fred Yule and Sylvia Barnard (née Cole) recall a hit on their homes in Robertsbridge Road. We think the hits were two separate events. This page was added by Cheryl Bailey on 13/06/2010. The 'Doodle Bug' (V 1) was something of a novelty to the young: an aircraft with flames at it's rear seemed very odd. The after affects were not in the least amusing - as I found (being on the wrong end of one) whilst working in Cannon St.(London) in 1944. I was born at 61 Glastonbury Road in January 1944 and have heard my mother mention when a 'Doodle Bug' (V1) fell in a nearby road and many of the houses in Glastonbury Road suffered blast damage and ours (61) was the only one left in that immediate area with a working WC. Our house suddenly became very popular with the neighbours. This is amazing...my mum told me a couple of weeks ago about hearing the doodle bug and then it went quiet....she ran as fast as she could through Rosehill Park afraid it might land on her!!!! She lived at 78 Glastonbury, 2 bed house shared with Mum Dad and 5 sisters!!! I can also remember the doodlebug that fell onto the end houses in Robertsbridge Road on the corner of Wrythe Lane & Robertsbridge. As soon as we heard the all clear we all ran round there from St Benets Grove cul-de-sac. I can recall hearing the people saying that the doodlbug had hit the cables carried by the pylons and that's why it had fallen where it did. If it had carried on the chances were that it would have come down in St Benets. When I visited Rosehill a few years ago with my younger sister, she couldn't recall any of this happening. I just told her to look at the 'newer' bricks in that particular block where they had all been rebuilt. In answer to the question above 'what was Rosehill Park used for during the war. There was nothing in the Rosehill park, but on the park opposite....which we knew as Rosehill Park West.... there was at least one Ack Ack battery, it was situated just in front of the clubhouse that is there now.....we had some nice pieces of shrapnel that fell in that area thanks to that Battery! I remember all the railing and gates that encircled Rosehill Park being taken away for the war effort, as they did to all the railings and gates around the 'green plots' that run the length of St. Benets Grove. There was also an ARP station on one of them. One fell just one house over at the back of our house in the early hours, wiping out dozens of houses including ours. We were fortunate in that my family didn’t have any serious injuries, though two of my friends were killed, both the only children of a neighbour. The poor woman nearly went mad. Many of us were cut by flying glass and bricks. It was amazing how quickly the relief services got there. I remember looking out of our house where there was no longer any front wall and seeing the street full of people - heavy rescue workers, firemen, nurses. Apart from the rubble and debris, there was ruptured gas lines and water mains, shooting flames and water high into the air, poor chickens with all their feathers blown off. There was no water to make tea, which was a disaster, no water to wash which didn’t bother the kids much. It wasn’t long before they had done a head count, had us all labelled and shuffled off to the nearest schools, where the local W.V.S. and others distributed tea and biscuits and treated those suffering from shock. They then organized and dispersed us to various rest centres where we would be able to sleep until they could billet us out somewhere, and to be given whatever clothes were available, this was the cause of great hilarity, as even with rationing which also applied to clothes, the younger women would still be as fashion conscious as they could be. I remember my sisters putting on leg make up and using an eyebrow pencil to draw a line down the back of their legs to simulate a seam, so it looked like they had stockings on. Imagine then what happened when the younger women size maybe 6- 8- or 10 would be offered a pair of drawers that two of them could get into. There would be gales of laughter as the offending article was held up for all to see. I lived at 236 Glastonbury Road,we moved there in 1937 when I was nine months old. I have quite a few memories of the war years like going to the Anderson shelter in our back garden when the sirens went off, watching planes high in the sky on a bright sunny day, which was probably dog fights. Several houses down the road going towards the Sutton bypass were destroyed by a land mine. I think it was 1944 when the doodle bugs started coming over, that I was evacuated with my older brother but not my mother, to some where near the Worcester/Birmingham border, but we did not stay very long. 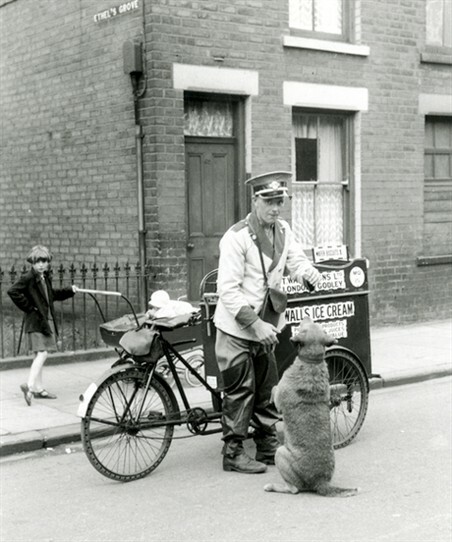 I vaguely remember being taken by bus from the estate to one of the main line stations and finished up in a school waiting to be picked by a family to look after us. A family by the name of Brown chose us but we did not stay with them long for some reason, probably because me and my brother were always arguing. We then went to live with another family near by, thier name was Mr.& Mrs.Cherry, they had a son and two daughters. I think the mother gave my brother John a hard time, that is why he asked mum to bring us home. Anyway the doodle bugs were still coming over when we got home, I remember one coming down near St.Helier hospital. Hello Rita good to read from another neighbour with memories of that night. If you open the site on WW2 you will see under the Personal War Memories heading my report about the raid which mirrors your memories. Rita Hilliard's comment has now been added as a page which you can now read about here. Catherine....... from my memory it was bombs, not a doodlebug that destroyed the houses between Wigmore Rd and Wrythe Lane. Ray ....... Fleet Air Arm personnel repaired the roof tiles on the damaged houses in Wrythe Lane. They left the letters F A A in the roofs with different coloured tiles. A Doodlebug fell on the Doctor's house on Thursday 21st of June 1944. My Father-in-law George McDonald helped in the rescue of the Doctor. My Father-in-law was on duty with the Home Guard. 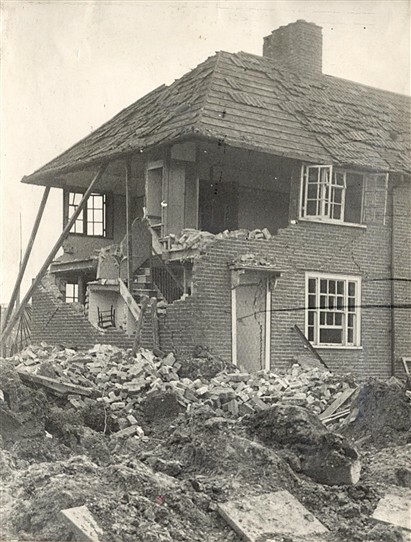 The following week on the 27th of June 1944 another doodlebug fell on the mortuary section and the blast from that bomb caused major damage to my Father-in-laws home at 213 Westminster Road. At this time the family were down the shelter opposite the hospital in Wrythe Lane. 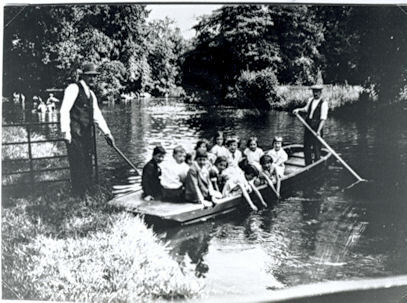 The following day the family were evacuated to Nottingham. No ones mentioned the doodle bugs on the Rent Office in Middleton Road and the Gladstone Home in Seddon Road. That one caused a lot of damage to our house in Lilleshall Road. Back roof off, back door and windows blown in. Always remember the large piece of the bomb in the hedge in Junior school. Llanthony Road. I think the Gladstone home was in Bishopsford road, near Hillfields. I recently spent time with my three nephews taking a trip down ‘memory lane.’ Subsequently one of them discovered this website and drew it to my attention. Imagine my shock and surprise to see this page with the archive photograph of what I am sure is no. 1 Robertsbridge Road. I was born in this house in May 1941 and am sure we were in our air-raid shelter when the houses were hit. After the war when the houses were rebuilt we moved back into the rebuild – this was in 1948. The crater left from the explosion in the field opposite our house was to us tiny children huge and made the most idyllic play area. Also I have memories of a group of us children tunnelling under the wire which surrounded the back of St Helier Hospital. We would spend time talking to the injured men who would be in wheelchairs or their beds which had been wheeled out into the grounds. The nurses and staff welcomed us being there even if it did break the rules. I went to Malmesbury Road School and the Yule’s youngest son, Alec, was my friend when we were in primary school. My elder sister Daphne, (she was my nephews’ mother) was friends with Gwen Yule and they were also pupils at Malmesbury Road. I only remember Alec, John and Derek as being the brothers but could Fred Yule who remembers the bombing so well, be a member of the same family? I would be happy to receive contact from anyone who remembers me / us.